Facebook is one of the effective and influential platforms to increase the reach of a business, increase the awareness of a brand, grab the attention of the potential customers and bring traffic back to a website. Facebook is widely used as a platform by big, mid-sized or small businesses to spread awareness about their business. However, it is sometimes tricky for small businesses to understand how to target their customers and effectively post on social media. We have compiled a bunch of useful ideas that would help small business startups to create compelling posts promoting their products and services to a wider audience. Pay attention to posting times- Optimizing your posting times is a sure way to gain the attention of the potential customers. According to the studies, it has been found that posts published on weekends or later in the week show better customer engagement than the posts published on the weekdays such as Monday, Tuesday and Wednesday. Depending on your target audience, you can also choose a time when you are likely to get the best response. Offer alluring deals- Offering lucrative deals or alluring offers is another sure shot way of attracting the customers. A study has suggested that people are most likely to buy from brands or businesses they follow on Social media. Therefore, running different types of offers, deals or contests is a fantastic way of encouraging customers to buy products or services. Know your audience- In order to create a successful Facebook campaign; you need to know who you are targeting. This will help you create a strategy and reach your business goals. Sharing testimonials or happy stories can also boost the morale of the customers and encourage them to explore what you have to offer. Add Images- Images receive more likes than text posts. Therefore, the best practice is to add images into your Facebook posts to increase the engagement rate of the customers. Share images of real faces, products or you can also create image galleries to upload more images. Respond to Comments- When you post something on Facebook, you may get comments on it. Comments can be positive, negative or neutral. Responding to customer comments is a way of making them feel valued. Responses could also be generated to answer a question or acknowledge good feedback. Post Length- Fewer people will read a lengthy essay or article. Hence, it’s best practice is to keep posts short. Try to add all the important and relevant information in the posts that could be useful to the customers. Have your phone number and email address listed in the posts to improve conversions. 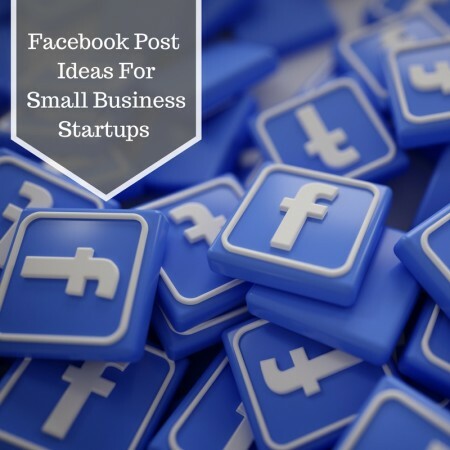 These are several Facebook post ideas for small business startups. These tips are surely going to benefit you and bring more customers back to a website. The results would be seen in the form of higher conversion rates, enhanced traffic, satisfied customers, and much more.